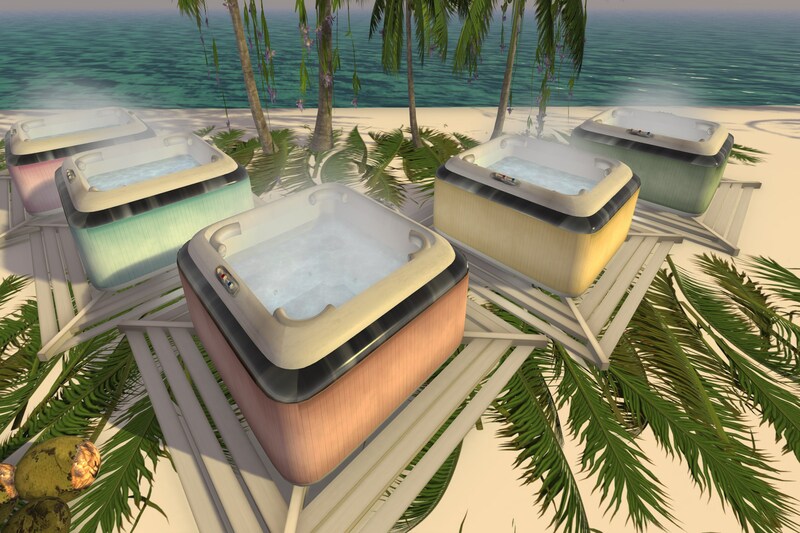 Last month’s steamy group gift the cuddle fired HOT TUB proved very popular, however that group gift is now over and won’t be coming back any time soon. But there’s no need to despair if you missed it, as it is now up for sale in world and on the marketplace. It is available at a tiny price in alternate colour style versions. You can choose from CANDY, CAFE or IVORIES versions or if you prefer, get the whole collection! See the luscious pics below to whet your appetite. Don’t forget to see the operating manual so that you get the most out of your new tub, happy shopping! Previous Previous post: October Group Gift Released!